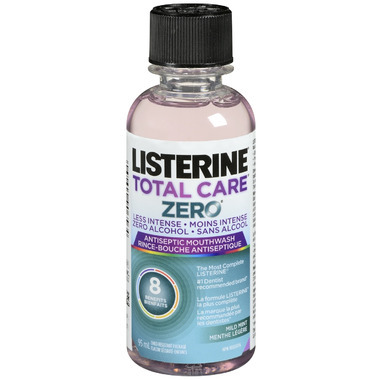 LISTERINE® TOTAL CARE® ZERO® has all the benefits of LISTERINE® TOTAL CARE® without the bite, in an alcohol-free formula with a less intense taste. It has also earned recognition from the Canadian Dental Association (CDA) for helping reduce and prevent gingivitis, and preventing cavities. Great without the alcohol burn!